According to predictions, half of the workforce in the US will be freelancers by 2027. That shift is already evident in Berlin, with the rising number of freelancers and startups arriving in the city, and the highest number of self-employed workers in all of Germany. 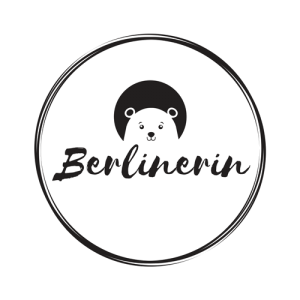 Maybe you’ve decided to make Berlin your home and want to go the independent route as a freelancer. Whether you’re a writer, designer, musician, or yogi you may encounter some bumps in the road on your path to entrepreneurship. Here is a little guidance to make the road a bit smoother. What this list doesn’t clarify is that your revenue forecast must total a minimum amount per month – in most cases at or over €1700 – the “average” income in Berlin. You must also provide at least two different commitments of employment BUT they must be in the SAME field, even if you need different types of work in order to reach the minimum income. So if you’re a writer and a musician or a graphic designer and a fitness instructor you have to provide two promises of work of for one path i.e. two graphic design jobs and one fitness job – one graphic design job and one fitness job won’t count towards the total of two. It’s also recommended to have a bank account that is based in or has a presence in Germany. Even if you have savings in an account from your previous country (provide those balances in your interview), open an account here that you can use for your immigration office visit and to receive payment once you start working. A common problem is that some banks here won’t allow you to open an account unless you already have a valid German visa or passport, frustrating, we know. Some of the newer and online based banks such as comdirect or N26 are good options to store your funds – the more the better. You may also be turned away if your insurance provider isn’t approved. As a freelancer, you are eligible to apply for public health insurance, but it may not seem ideal as it can be quite expensive. Private insurance can be less expensive but also covers less expenses which may make you uneasy – some private options include economy coverage with Care Concept, the pricier Morgan Price, or the not so positively reviewed MAWISTA. SMartDe is a cooperative that provides health insurance and retirement benefit solutions for the self-employed to make their lives easier. N26 also published a brief breakdown with different options. The key is to establish a life here: find a place and commit to it by registering, put your money in a German bank account, make an effort by learning the language, secure work here – all before they even approve your visa to stay. Recently, the Ausländerbehörde has made more of an effort to provide english language support, which is a huge difference from a year ago. So hiring an interpreter, if you don’t speak german, may not be a necessity for your visit, but it can’t hurt. You’re often taken more seriously when with someone who speaks the language. Others have also hired a “handler” for their visit that specializes in making sure that new Berliners receive their visa (they can cost €250 – €500 or more but may be worth it if you want to take a hands-off and less stressful approach). Hopefully after your time spent finding work, gathering all of your paperwork, and waiting the four months it takes for you to get an appointment, you finally receive your visa. 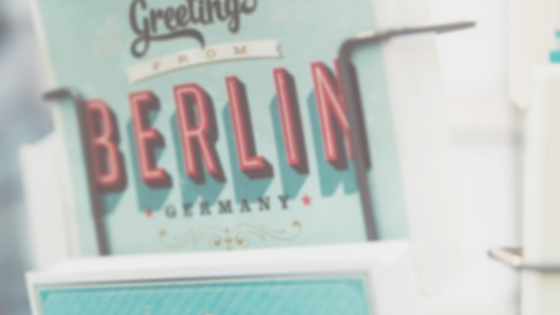 The person who adds this glorious adhesive to your passport may explain to you all of the terms and stipulations that come with be a freelancer in Germany, or they can fail to tell you anything. When I received my freelance visa, I was given a token to pay my €60 fee, told the visa was valid for two years, and then heard, “That’s all”. The adviser failed to mention that if I wanted to work in any other field outside of the one listed on my visa or take a full time job that I needed to request permission and wait weeks for them to (maybe) approve it, and if they didn’t, I would have three weeks to leave the country. She also left out that I needed to make a minimum of €1700 solely from freelance work, income from employment other than freelance and my savings accounts wouldn’t factor in. If I didn’t, my visa would not be renewed in the future and I’d also be asked to leave the country. You know, just a few minor details. Please keep in mind that every case is different. The fees and income requirements vary. More importantly, depending on which adviser you get that day can greatly affect your experience. Many have found resources and support on the website www.expath.de or you can direct specific questions to the Berlin Freelancers Facebook group to see what others have learned. Let us know of what “Berlin immigration hacks” you’ve discovered!